Today Pacemaker still draws upon its long tradition of innovation by introducing new technologies into the market place. In this time Pacemaker has been able to design and build one of Australias largest 4-into-1 and Tri-y catalogues. In 1997 Pacemaker introduced its turbulence eliminating Pipe Over Cone technology. 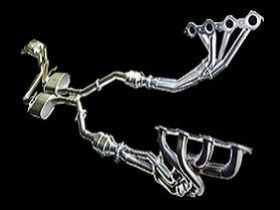 All Pacemaker headers are manufactured with the pipes flared and welded over the collector cone, so nothing protrudes inside the collector cone, therefore increasing exhaust gas flow and eliminating turbulence inside the exhaust header. 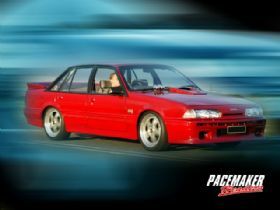 The result is better gas flow and increased horsepower. 1) Precision Laser cut and machined thick flanges to eliminate leaking and warpage. 2) All headers are jig welded for guaranteed fitment and are checked prior to shipment. 3) Comprehensive fitting instructions with V8 sets together with hi-tensile header bolts. 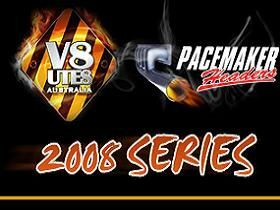 4) Big bore pipes available for most popular V8 models. 5) Emission hook-ups provided where applicable. 6) Primary pipes fitted through the flanges. 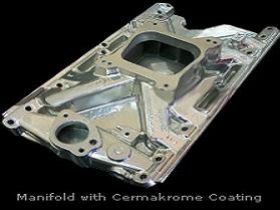 7) Heat proof finish tested to 1270. 8) Secondary and outlet pipes fitted over primary and outlet cones. 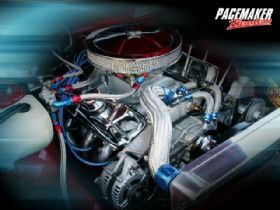 At Pacemaker, we believe that the product should not only perform well but have a high quality finish too. Everything from the attention to detail of our designs to the clean appearance of our welding technique to the use of smoother mandrel bends and precision laser cut flanges all combine to help make Pacemaker headers one of the highest quality headers on the market today. And to set them off, Pacemaker headers are finished in a bright and attractive, specially developed blue heat proof coating that will last well into the headers life. There is more to the finish than meets the eye. 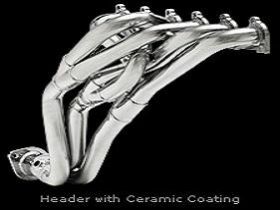 Pacemaker Headers also manufacture and supply exhaust systems and can provide ceramic coating for all of your exhaust requirements through Ceramic Coat Australia, a division of Pacemaker Headers. In the future Pacemaker intends to draw upon its heritage and experience to introduce cutting edge technologies into our product range to remain one of Australias leading header manufacturers.